Today in College Admission is an email news briefing tailored to the needs and interests of the college admission community that summarizes key media coverage, broken down into four sections: Leading the News, Higher Education News, Policy and Legislation, and College Readiness. The briefing is delivered to members of the National Association for College Admission Counseling (NACAC) each Tuesday and Thursday morning, making Today in College Admission cost-effective, immediate, and powerful. 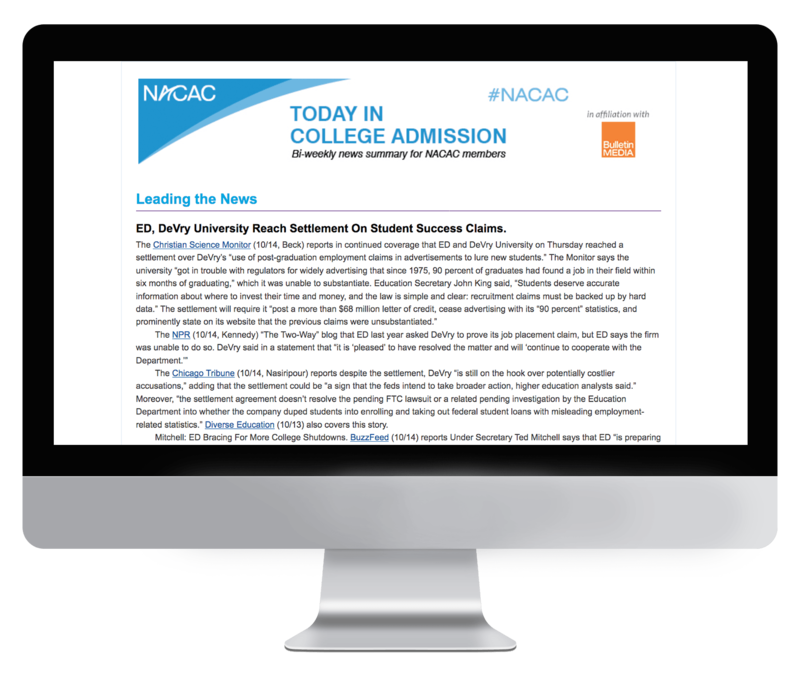 Subscription to Today in College Admission is exclusively limited to NACAC members. If you are a member of NACAC and would like to receive this briefing, please reach out to the association directly.